We had a tremendous event at Boise State this evening, more than 150 folks attended. 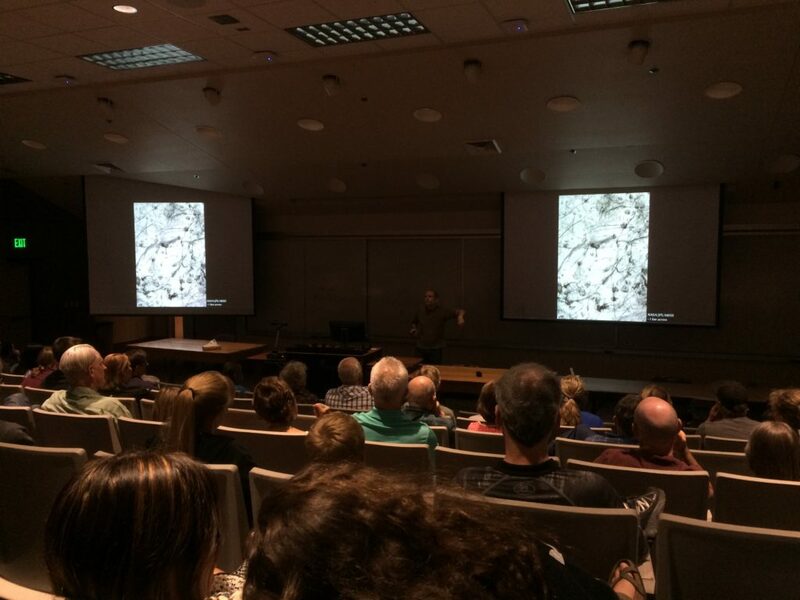 Our guest speaker, Dr. Josh Bandfield, gave a great talk about the latest results from Mars. 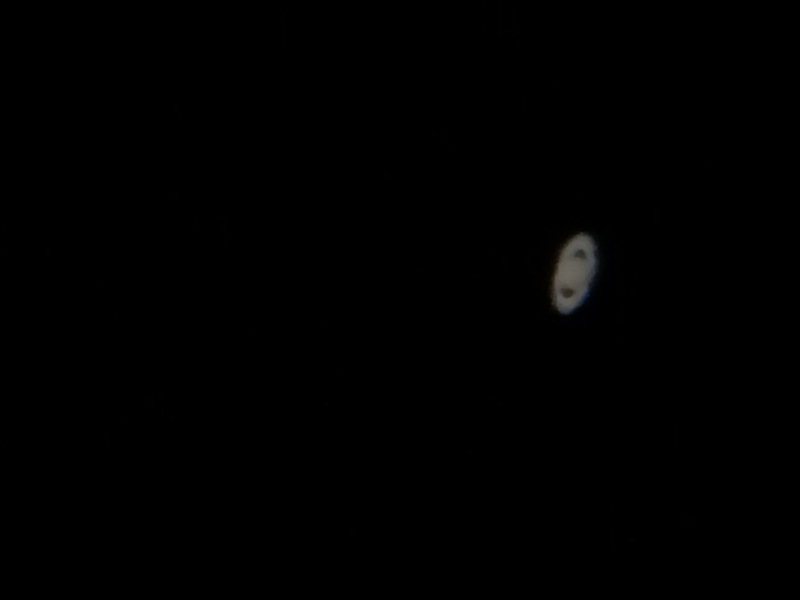 And finally Mars, Jupiter, and Saturn put on an amazing show for us. We got some great press, including from KIVI-TV. Thanks to my volunteers and to the facilities folks who turned off the lights for us. Posted in: Brian's publications. 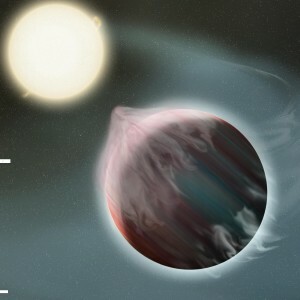 Tagged: close-in exoplanets, Kepler mission. In the last few decades, astronomers have discovered thousands of extrasolar planets, and there seems to be, on average, one planet for every star in the galaxy. Some of the planets are like those in our solar system, but many are not. In fact, there’s a huge number of gas giant planets, like Jupiter, but on such short-period orbits they are nearly skimming the surfaces of their stars. These hot Jupiters are actually so close to their host stars, they are in danger of being torn apart by the stars’ gravity. In a study just accepted for publication, my research group investigated what happens to a giant planet when it is ripped apart. We found that, over a few billion years, these planets can lose their entire atmospheres, leaving behind the little rocky core deep in the planet’s interior. It also turns out that, as the planets lose their atmospheres, they can also get pushed out away from the star, and our study found that how much the planet gets pushed out depends pretty sensitively on the size of the rocky core. That’s pretty neat because it means we can compare the masses and orbits of known rocky exoplanets to what we would expect if those little planets were actually the fossil cores of bigger gas giants that had their atmospheres ripped off. The figure below shows how the current orbital periods of known planets P compares to what we’d expect if they were fossil cores, P_(Roche, max). In some cases, there’s a decent match, but in lots of cases, there’s not. So we’ve still got some work to do. Posted in: Public Outreach. Tagged: mechanics, tippe top. I had fun over the weekend experimenting with my tippe top, a specially shaped top that flips itself over. Turns out the key to the flipping is friction: the more friction, the faster the top will flip, as the video shows. Posted in: Public Outreach. Tagged: Earth science. The post includes this impressive video from NASA, showing the annual cycle over which trees in the northern hemisphere scrub out CO2 from the atmosphere. Posted in: Public Outreach. Tagged: Mars, observing. 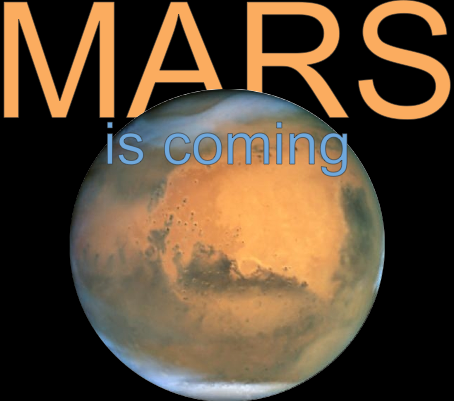 Mars will soon make its closest approach to Earth in over a decade, and Boise State’s Physics Dept will host an astronomical viewing party to celebrate on Tuesday, May 31 from 8:30p till 11p. 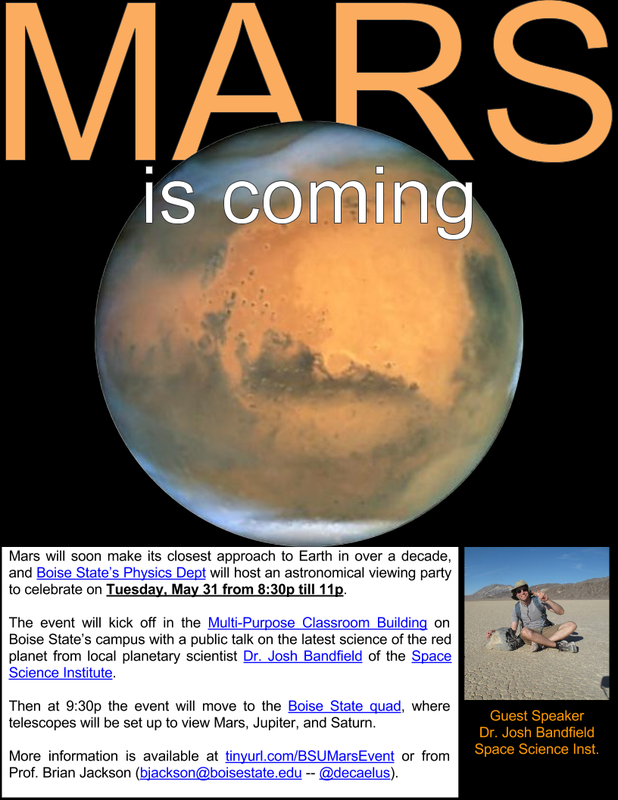 The event will kick off in the Multi-Purpose Classroom Building, room 101 on Boise State’s campus with a public talk on the latest science of the red planet from local planetary scientist Dr. Josh Bandfield of the Space Science Institute. Then at 9:30p the event will move to the Boise State quad, where telescopes will be set up to view Mars, Jupiter, and Saturn. Contact Prof. Brian Jackson (bjackson@boisestate.edu — @decaelus) with questions. Posted in: Public Outreach. Tagged: mercury transit. 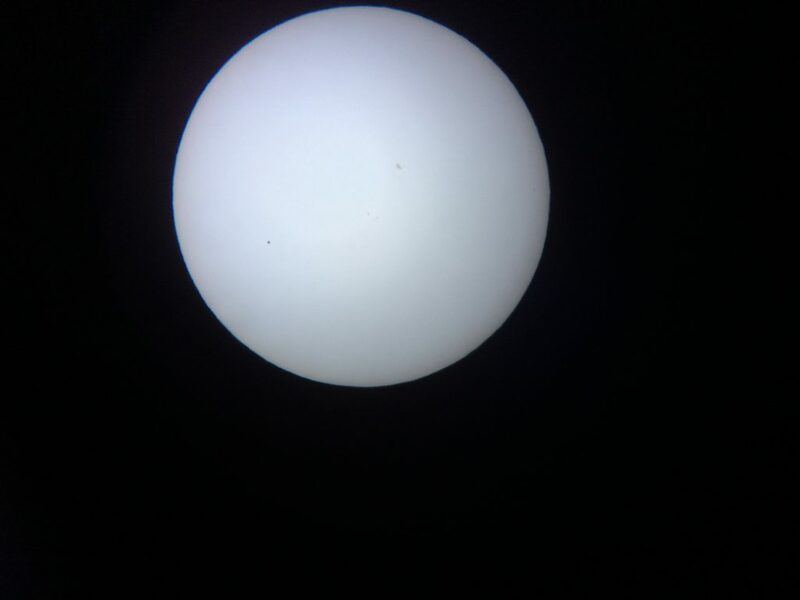 Mercury transit about 10:42 MDT. Beautiful transit yesterday. In spite of early forecasts showing clouds, we had a sunny (if windy) morning, nearly perfect for transit viewing. 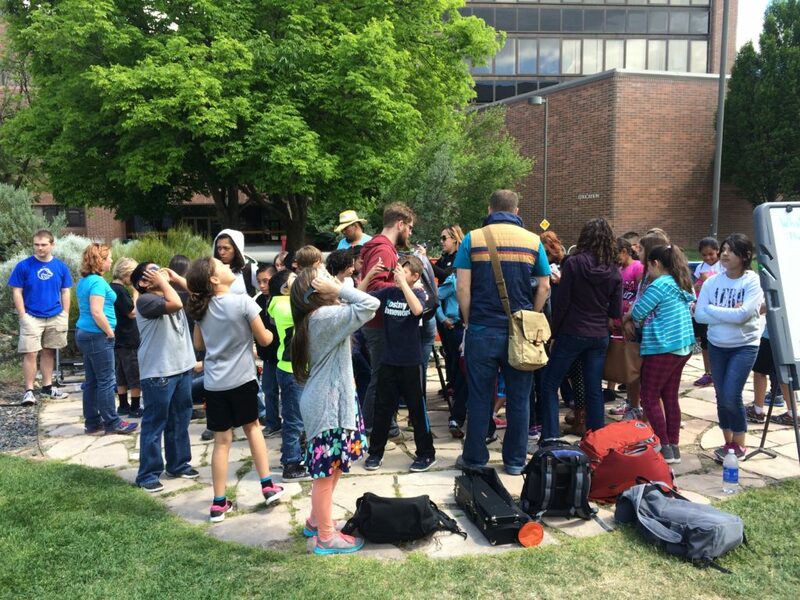 We had more than 200 visitors to our transit event on campus, including more than 50 elementary school students from the nearby town of Nampa. We also had a local television news crew there from KTVB and Frankie Barnhill and Adam Cotterell of the local NPR station, KBSX. 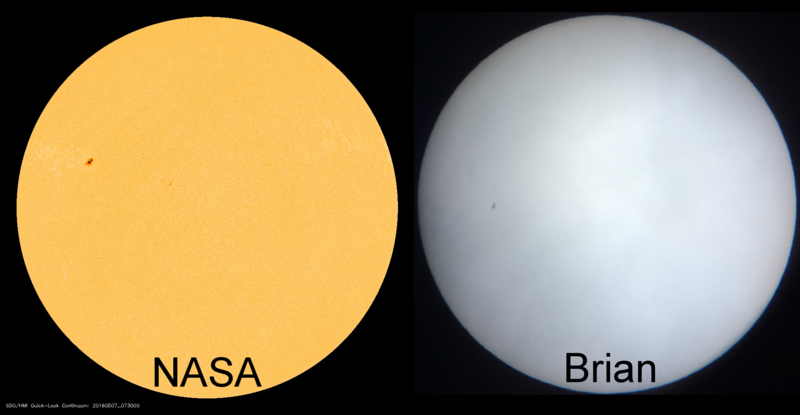 Comparing NASA’s view of the Sun from space to the view from my front yard. In preparation for the Mercury transit event on Monday, I set up one of our telescopes with a solar filter to see what the Sun looks like. The image above is a comparison of what I can see from my front yard to what NASA’s Solar Dynamics Observatory saw a few hours ago. Looks like we’ll have a tiny Sun spot present for the transit on Monday, and the weather forecast is looking better. So fingers crossed for good conditions. 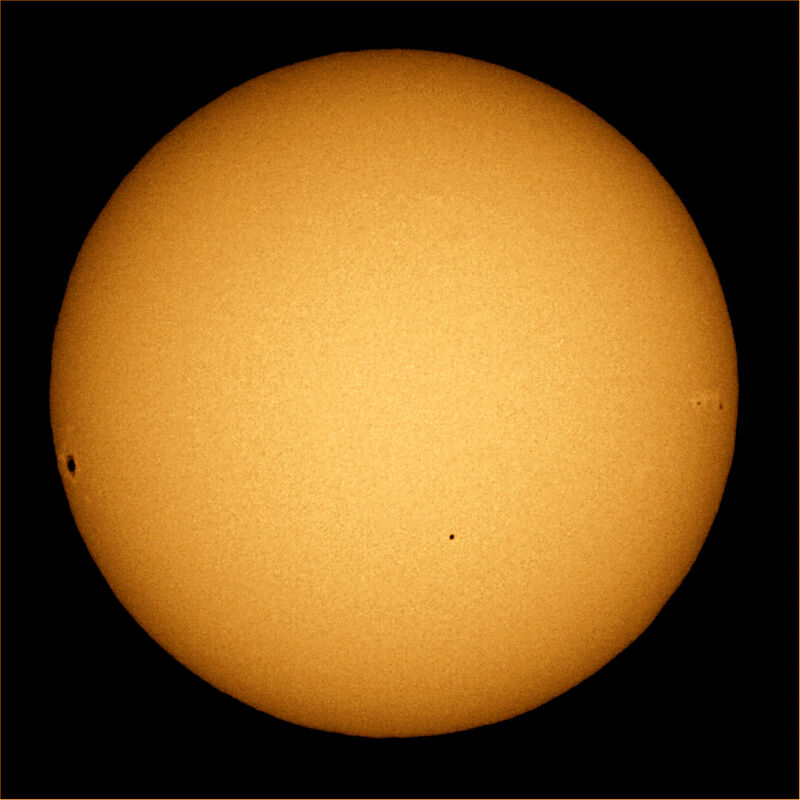 A snapshot of the November 2006 transit of Mercury. The rocky planet appears as a clean-edged disc in the lower hemisphere of the sun. Clusters of sunspots can also be seen near the right and left edges of the sun. An event that only occurs 13 times a century, the planet Mercury will transit the Sun in the morning of May 9, meaning the planet will pass between the Earth and Sun and cast a shadow we can see, as in the photo at left. The Physics Department at Boise State University will host a viewing event on campus in the plaza next to the physics building (Multi-Purpose Classroom Building) from 9am till 1pm. Paid parking is available in the Brady Parking Garage across the street from the event. We will have telescopes with Sun-safe filters and eclipse shades to share so the public can watch this rare celestial occurrence. Here in the Pacific Northwest, the transit will already have begun by the time the Sun rises, but it will last until about 1pm. So bring the whole family for this rare celestial event — the next one won’t happen until 2019. UPDATE: We will also project a live feed from NASA’s Solar Dynamics Observatory in the lobby of the Physics Building. Posted in: Teaching. Tagged: mechanics, physics, teaching. As an extra credit project, I asked the students from my mechanics class to film demonstrations of physical systems we discussed in class. The videos turned out very nice, so I’ve shared some of them below.